911 Interpreters provides an interpreter in any language over the phone within 30 seconds or less. Our process makes it easy. Simply dial our toll free number 1-866-810-0911, provide our operator with your contact information or access code assigned. Then, request the language your client speaks and our operator will connect you to a qualified interpreter. 911 Interpreters is committed to providing user-friendly services. Simply call 1-866-810-0911 or fill out our online interpreter request form and we’ll handle the rest. Confirmation of each interpreting request is verified by fax or email to ensure that no details have been overlooked. 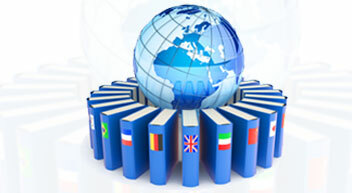 Interpreters will meet the booking agent promptly at the site and time specified. 911 Interpreters provides accurate interpretations in both simultaneous and consecutive format. We pride ourselves in word-for-word interpreting so the meaning of your words are communicated clearly and precisely. Upon receiving your translation request, we will immediately analyze the work required, as well as turnaround time and provide you with a quote. All translation documents are sent for a multi-step translation process which includes an original translation, proofreading and editing, revision and the development or update of a Termbase and Translation Memory. This process ensures that no details are overlooked and you can be confident that you have received the highest quality translation available. Our turnaround times are minimal, however vary slightly on the area of expertise required. Please call 1-866-810-0911 for both a quote and the length of time required to complete your request.